KNX power supply 160mA. 2 DIN rail units. 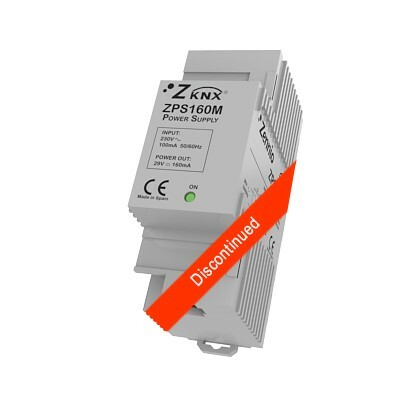 ZPS160M is a KNX 160mA power supply. This power supply is ideal for small KNX installations. It includes an integrated choke.